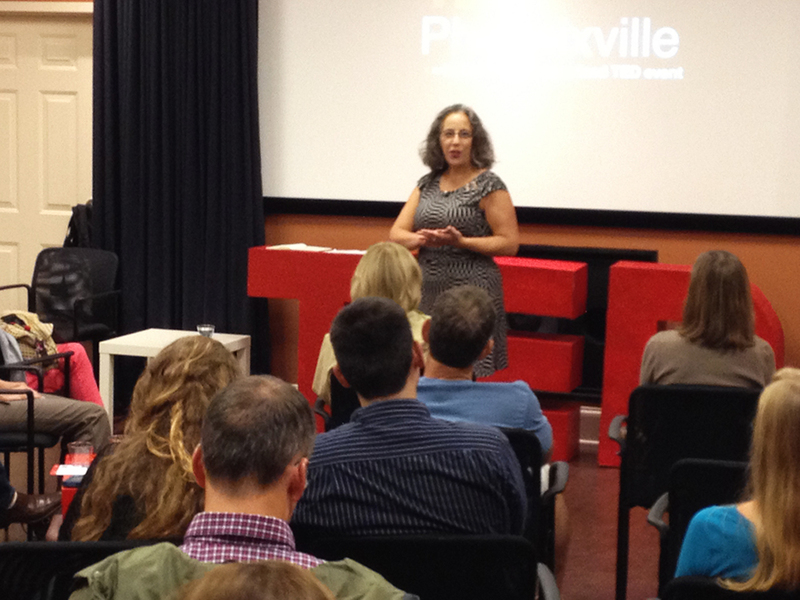 LisaBeth Weber has a way with words and a way with audiences. 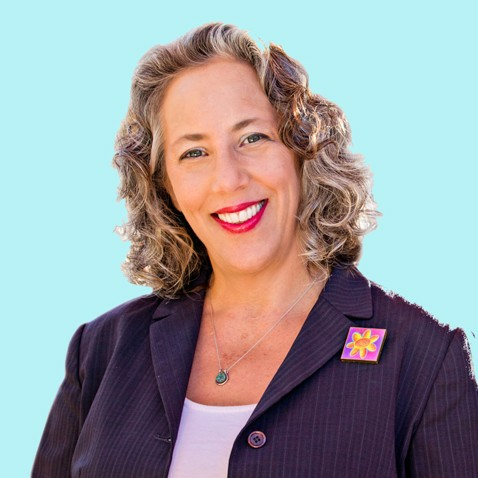 She is a go-to speaker for any business or organization wanting to bring creativity, motivation, ideas, and inspiration into the mix for their events. 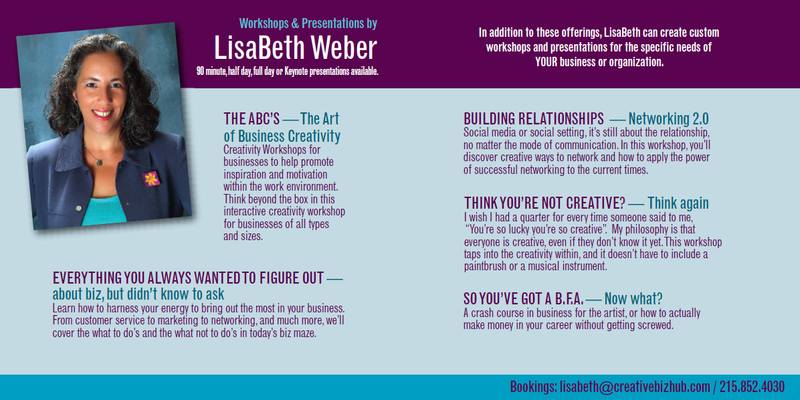 Please feel free to email LisaBeth at create@lisabethweber.com for a high-rez version of this one sheet. 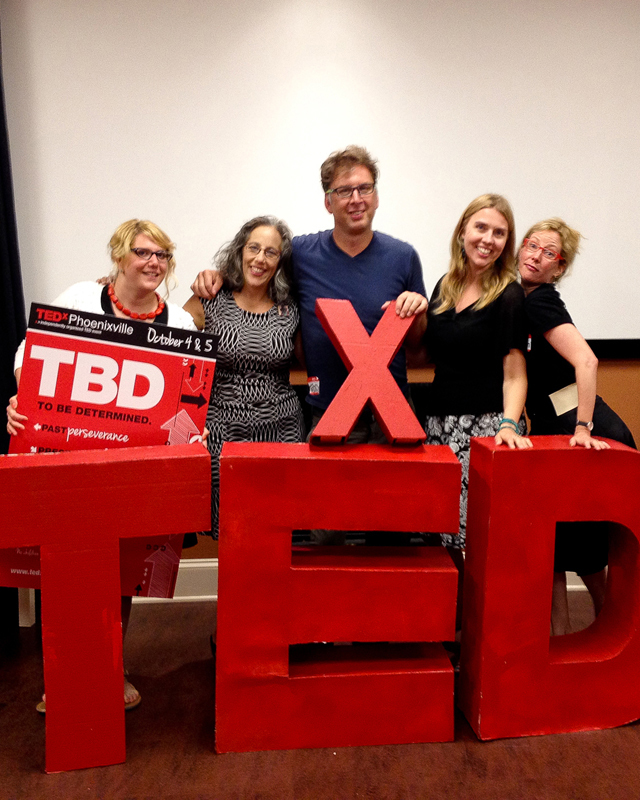 LisaBeth speaking for students at Delaware Valley College, Doylestown, PA.
LisaBeth and the TEDx team goofing around after her TEDx talk. What fun! 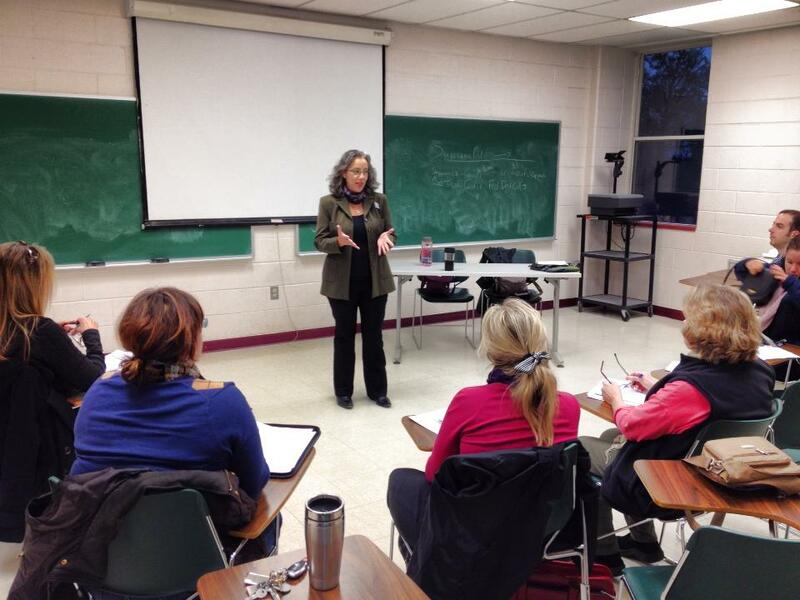 LisaBeth Weber - Sample speaking topics. 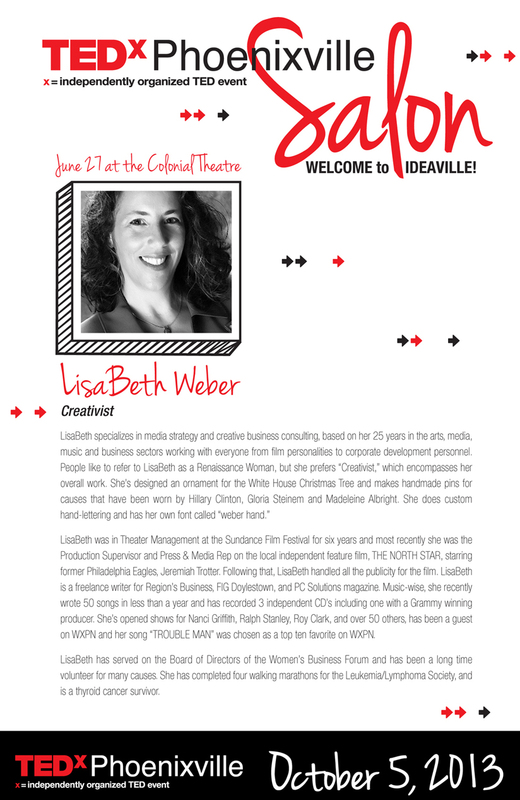 LisaBeth has several programs she speaks on, and she is happy to consult with event planners and businesses to design a custom presentation for their needs. 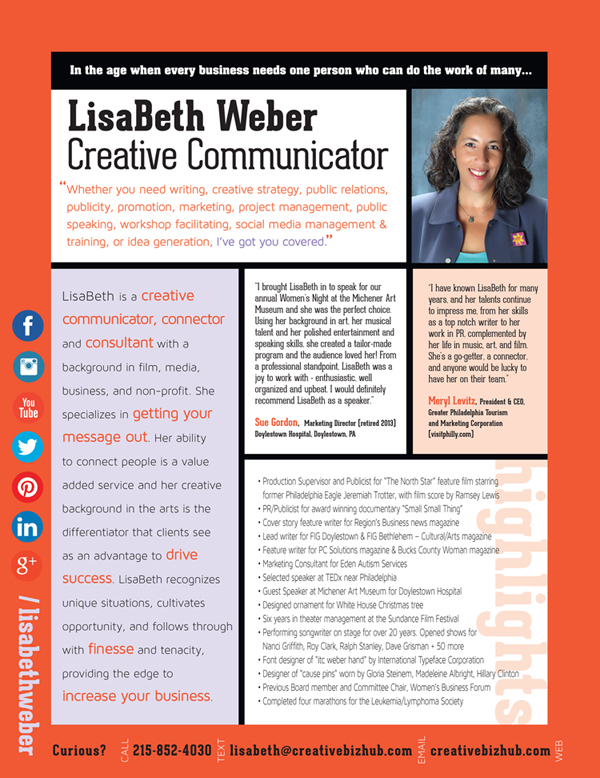 Please feel free to email LisaBeth at create@lisabethweber.com for a larger version of this brochure. 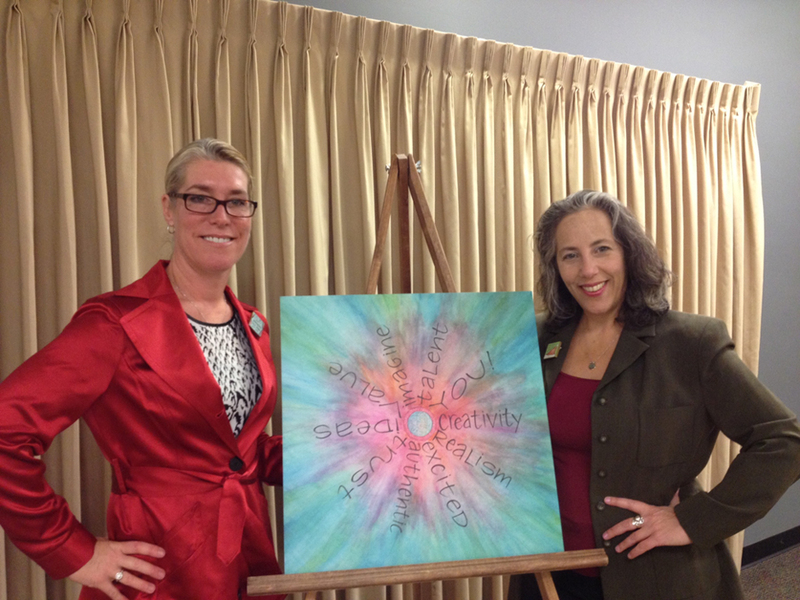 LisaBeth was invited by business pro Gretchen Gunn to speak on motivation and creativity at Wired4Hire. 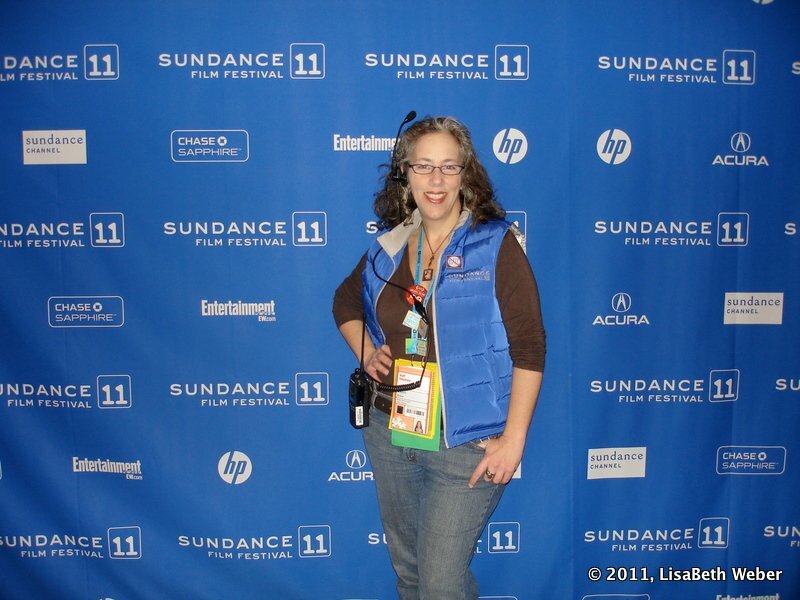 LisaBeth Weber - Theater Manager, Prospector Theater, Sundance Film Festival. 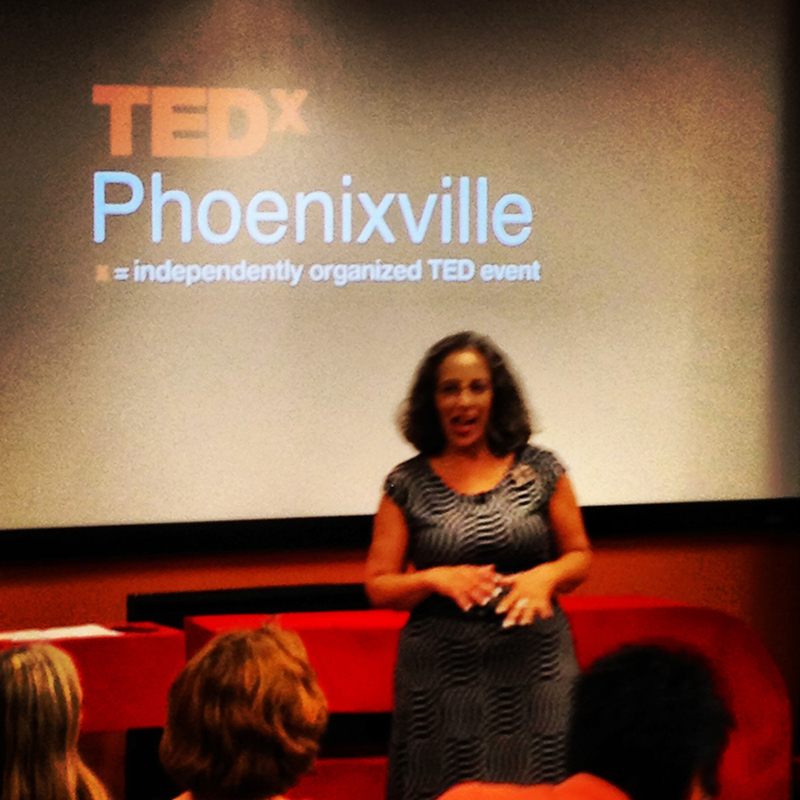 LisaBeth giving a TEDx talk on creativity beyond the arts. 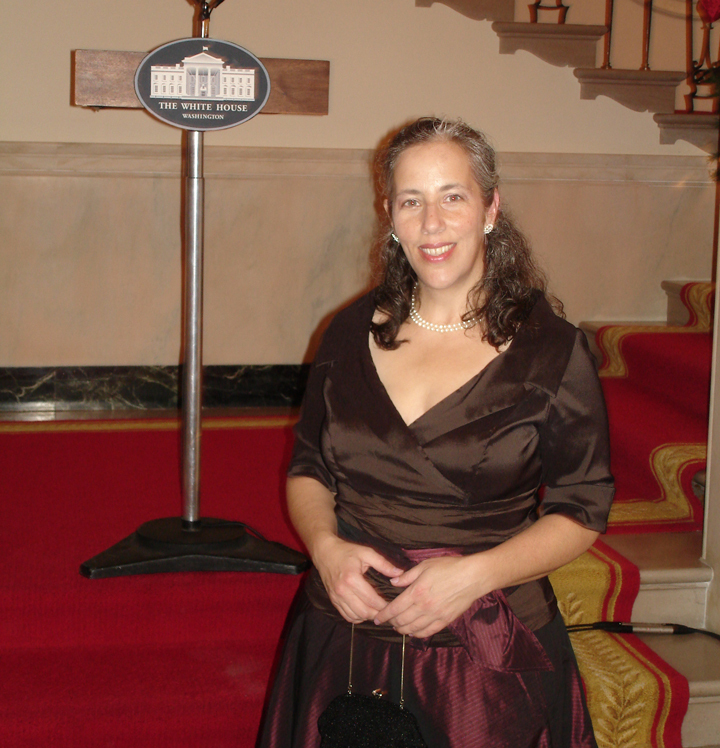 LisaBeth was selected to design an ornament for the White House Christmas tree and was invited to an artist reception at the White House. 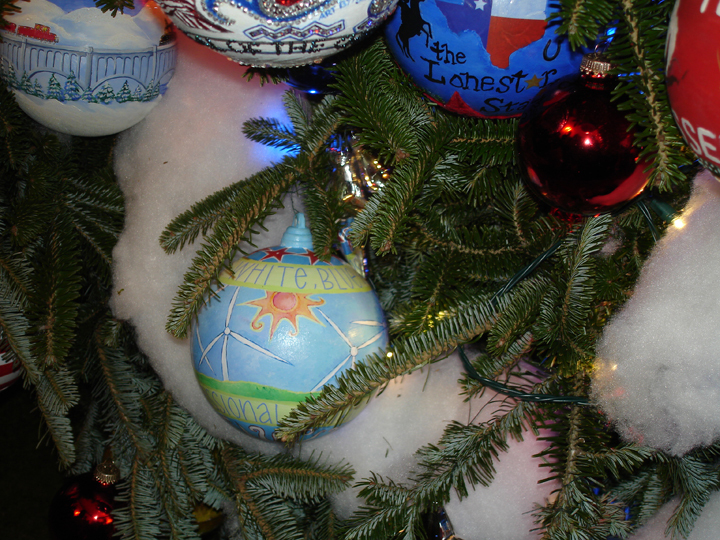 Here's the ornament LisaBeth designed for the White House Christmas Tree. She was asked to represent her district, so she designed it with wind turbines which were being manufactured locally at the time. 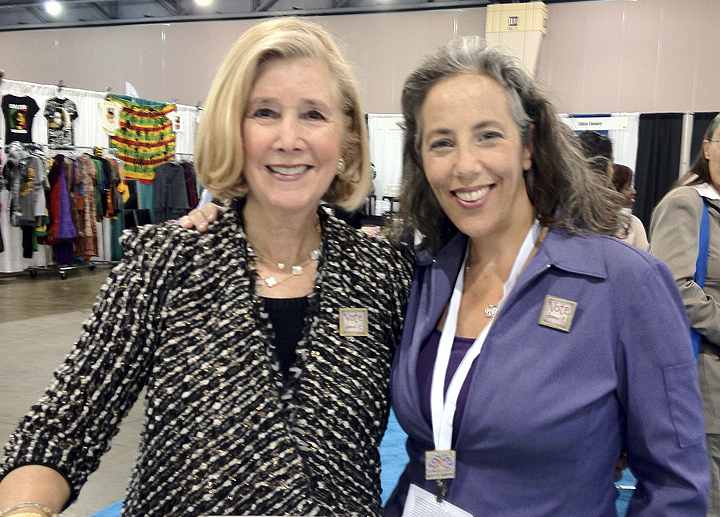 Leslie Stiles was Executive Director of the Pennsylvania Women's Commission under Governor Rendell, and now heads up the Pennsylvania Conference for Women, where LisaBeth spoke in 2014.